After igniting a firestorm of debate across the nation, Amy Chua’s daring, conversation-changing memoir is now in paperback. At once provocative and laugh-out-loud funny, Battle Hymn of the Tiger Motherset off a global parenting debate with its story of one mother’s journey in strict parenting. Amy Chua argues that Western parenting tries to respect and nurture children’s individuality, while Chinese parents typically believe that arming children with skills, strong work habits, and inner confidence prepares them best for the future. 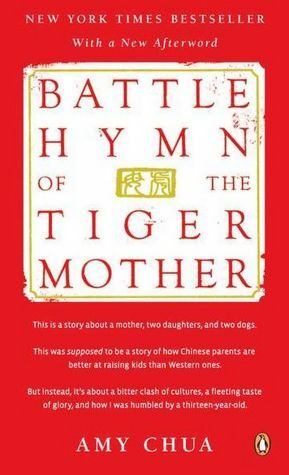 Achingly honest and profoundly challenging, Battle Hymn of the Tiger Mother chronicles Chua’s iron-willed decision to raise her daughters, Sophia and Lulu, the Chinese way-and the remarkable, sometimes heartbreaking results her choice inspires. Amy Chua is the John M. Duff Professor of Law at Yale Law School. She is the author of the New York Times bestseller World on Fire: How Exporting Free Market Democracy Breeds Ethnic Hatred and Global Instability and Day of Empire: How Hyperpowers Rise to Global Dominance—and Why They Fall. She lives with her husband, two daughters and two Samoyeds in New Haven, Connecticut.